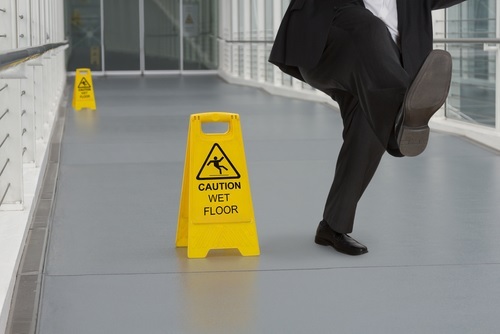 Slip-and-fall accidents can cause more than embarrassment – a lot more. According to the Brain Injury Institute, more than eight (8) million people are injured annually from slip-and-fall accidents. In fact, such injuries are a leading cause of death among our senior population. In this article, we’ll talk about perhaps one of the most serious results from a slip-and-fall accident – traumatic brain injuries (TBI). According to the Center for Disease and Control, slip-and-fall accidents are the primary cause of TBI in the U.S. Children under 14 and the elderly are at most risk for experiencing such injuries. There are four distinct regions in our brains (cerebrum, cerebellum, brain stem and limbic system). Each are responsible for controlling a specific action within our bodies. So when one of those regions is injured, its function may be severely impacted. If you’ve experienced injuries sustained from a slip-and-fall accident, you may be entitled to compensation to cover any medical bills, lost wages, etc. We encourage you to contact us at Barber & Associates by calling 907-276-5858 for a free consultation.